Sharing Cities Sweden is organizing events, workshops, publications and activities to support a creative and lively discussion about the sharing economy in cities. August 2017 (NEWS HEADLINE): Announcing the funding of a national program for sharing cities! Starting in August 2017 and running until December 2020, the program aims to put Sweden on the map as a country that actively and critically works with the sharing economy in cities. The program will be conducted in collaboration with business, the public sector, civil society and academia. November 2017 (PUBLIC EVENT): Sharing Cities Sweden participated in a session at the Social Innovation Summit on 13-14 November 2017 in Malmö. Sharing Cities Sweden and the Malmö Sharing City were presented and discussed with the audience. January 2017 (INTERNAL EVENT): Sharing Cities Sweden organized a workshop with Vinnova on 24-25 January 2017 in Stockholm. The activities included presentations from the national node and test-beds in Umeå, Malmö, Gothenburg and Stockholm. Discussions focused on the design and development of test-beds, the role of ICT in the sharing economy, testing and evaluating sharing services, and how to spread learning and stimulate international collaborations. February 2018 (EVALUATIONS WORKSHOP): An evaluations workshop for Sharing Cities Sweden was organised in Lund on 26 February 2018. The purpose of the event was to share knowledge and experiences with evaluations of the sharing economy in cities and to identify synergies and opportunities between the test-beds in Sharing Cities Sweden and ongoing research projects. Key research projects on the sharing economy in cities were presented and discussed in relation to the activities of the test-beds. The projects included Sharing Potential, Urban Sharing and Sharing and the City. The next evaluations workshops for 2018 are planned for Lund, Gothenburg and Stockholm. 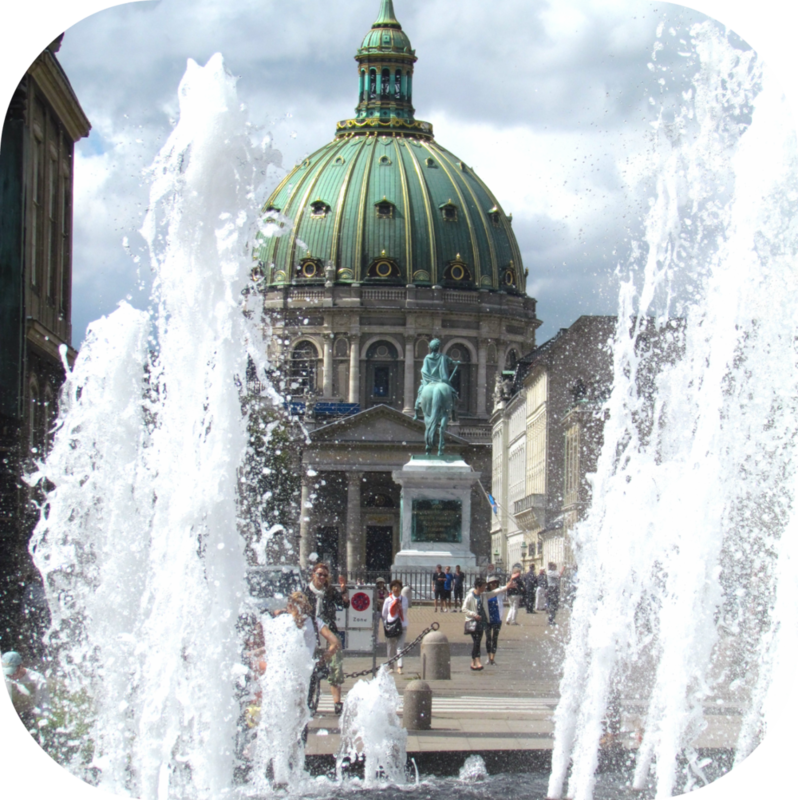 March 2018 (INTERACTIVE ACTIVITY): A mobile research lab was organized in Malmö on 7 March 2018. The purpose of the mobile research lab was to explore sharing services and the developing sharing economy in Malmö. Mobile research labs bring together a group of researchers and investigators who conduct interviews and site visits together following a structured process. 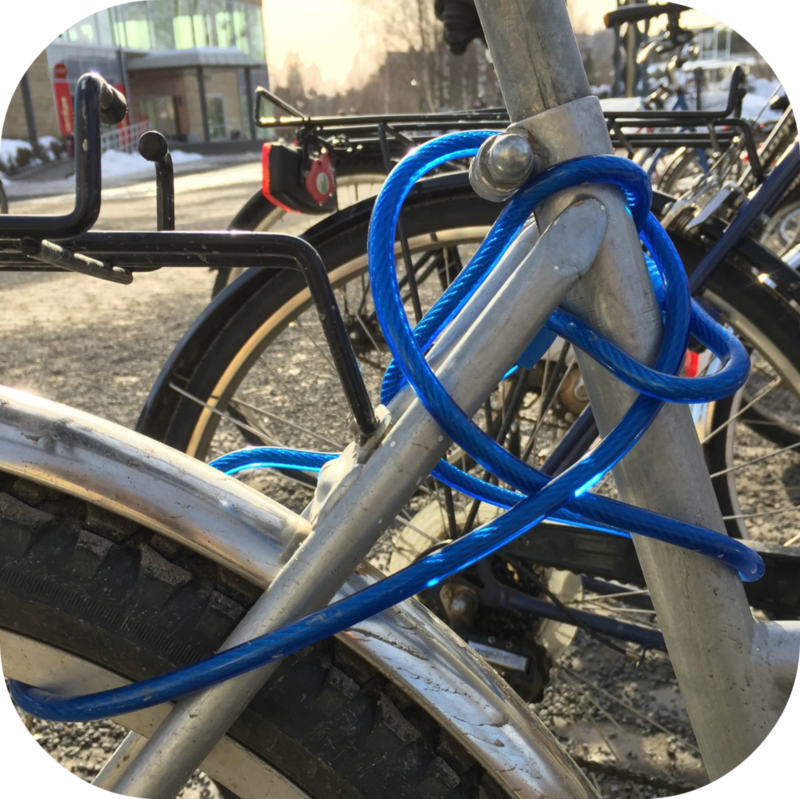 The mobile research lab in Malmö involved a clothes sharing and swapping store, the City of Malmö electric bike sharing initiatives, an organization supported by the University of Malmö to support start-ups, and a library for sharing books, space and things. There is a further mobile research lab planned for Gothenburg in 2018. April 2018 (INTERACTIVE ACTIVITY): Strategic environmental development is an interactive exercise involving researchers, students and practitioners working together on a real life case. An exercise was organized in Umeå on 11-18 April 2018. The purpose of the exercise was to explore sharing services and the developing sharing economy in Umeå. Strategic Environmental Development bring together a group of researchers and students who conduct interviews and site visits. The exercise in Umeå involved a range of organizations working with developing the sharing economy in Umeå. There is a further exercise planned for Stockholm in 2019. April 2018 (STUDY TRIP): Over 30 people from developers and partners in Sharing City Malmö visited Amsterdam for a study tour on sharing cities on 18 April 2018. The exercise was organized in collaboration with the Sharing Cities Alliance to provide input and inspiration to the developers in Malmö working on Sege Park. The ambitions for the Sege Park development project are to establish a world-leading example for sharing cities. April 2018 (PUBLIC EVENT): Sharing Cities Sweden organized a launch event on 23 April 2018 as part of Sustainability Week at Lund University. The event gathered the test-beds, national node and partners to present the early stages and ambitions for Sharing Cities Sweden. April 2018 (EVALAUTIONS WORKSHOP): An evaluations workshop for Sharing Cities Sweden was organised in Lund on 24 April 2018. The purpose of the event was to share knowledge and experiences with impacts of the sharing economy in cities and to continue to identify synergies and opportunities between the test-beds in Sharing Cities Sweden. The Sharing Cities Alliance hosted the workshop and presented insights from cities around the world. The next evaluations workshops for 2018 are planned for Gothenburg and Stockholm. April 2018 (STUDY TRIP): Sharing City Malmö organised a study tour in Sege Park on 24 April 2018. The purpose of the study tour was to learn about how the principles of the sharing economy are being integrated into the design and development of buildings and infrastructure in Sege Park. The ambitions for the project are to establish a world-leading example for sharing cities. April 2018 (PUBLIC EVENT): The Social Innovation in the North conference on 25 April 2018 features a session organized by Sharing City Umeå. The session is focused on the role of the sharing economy in sustainable cities and how to promote innovative solutions. May 2018 (NEWS HEADLINE): Sweden is a country in constant change and development. The launch of Swedish Testbeds on 31 May 2018 is an opportunity to showcase test-beds dedicated to the development of smart cities. Sharing Cities Sweden is developing world-leading test-beds for the sharing economy in Stockholm, Gothenburg, Malmö and Umeå. Swedish Testbeds defines test-beds as a physical or virtual environment in which companies, academia and other organisations can collaborate in the development, testing and introduction of new products, services, processes or organisational solutions in selected areas. June 2018 (STUDY TRIP): Sharing City Malmö organised a study tour in Gothenburg on 19 June 2018. The purpose of the study tour was to learn about the sharing economy activities in Gothenburg with visits to “Leksaksbiblioteket” – a toy library – and “Klädoteket” – a sustainable fashion shop. In addition, a presentation was organised on “Smarta kartan” – s smart map aims to help people of Gothenburg and visitors to the city to engage in the sharing economy. June 2018 (PUBLIC EVENT): Sharing Cities Gothenburg organized a public seminar on 20 June 2018 on the sharing economy as part of the Volvo Ocean Race in Gothenburg. The event gathered together the test-beds, national node and partners to present the activities and early findings from the test-beds and overall program. June 2018 (EVALUATIONS WORKSHOP): An evaluations workshop for Sharing Cities Sweden was organised in Gothenburg on 20 June 2018. The purpose of the event was to share knowledge and experiences of the sharing economy in cities and to continue to identify synergies and opportunities between the test-beds in Sharing Cities Sweden. The Sharing Cities Alliance hosted the workshop and presented insights from cities around the world focusing on visions and strategies as well as assessing and measuring impact. June 2018 (KEY PUBLICATION): The study released on the 27 June 2018 aims to review the environmental performance, and potential, of different sharing services available in Hammarby Sjöstad in Stockholm. These include: 1) the sharing platform provided by Hygglo.se, 2) the package drop-off and pick-up services offered by QLocx and 3) the sharing of cargo bikes. Life Cycle Assessment (LCA) is used to identify the impacts and benefits of the sharing services, taking into account both current and future consumption patterns, product lifetime and use, potential replacements of conventional products and services, and impacts from digital infrastructure. Furthermore, the study outlines an approach to identify methodological considerations for assessing these systems using LCA and addressing the sensitivity of these choices. June 2018 (PUBLIC EVENT): Yuliya Voytenko presented Sharing Cities Sweden at the International Workshop on the Sharing Economy on 28 June 2018 in Mannheim, Germany. The presentation highlighted the role of local governments in the sharing economy and covered several projects including Urban Sharing, Sharing and the City, and Sharing Cities Sweden. September 2018 (INTERACTIVE ACTIVITY): On 2 September 2018, Civic Tech Sweden arranged a hackathon with the theme "Sharing is caring: Collaborative Economy, Common Resources, and Sustainable Consumption". Civic Tech Sweden is a collaboration between organizations, networks and public actors who work with digital technology for community benefit. During the event, participants interact with people of knowledge in programming, communication, technology, open data, and design, but also people with experience in working with democracy and the sharing economy. Sharing City Gothenburg participated and presented at the event. September 2018 (PUBLIC EVENT): On 17-19 September 2018, Sharing Cities Sweden participated in the CIVITAS forum organized in Umeå on urban mobility. The event gathered the CIVITAS community from across Europe and beyond bringing together policymakers, city representatives, academics, and practitioners to debate pressing topics surrounding urban mobility, including the impact of the sharing economy. October 2018 (INTERACTIVE ACTIVITY): A mobile research lab was organized in Gothenburg on 16 October 2018. The purpose of the mobile research lab was to explore sharing services and the developing sharing economy in Gothenburg. Mobile research labs bring together a group of researchers and investigators who conduct interviews and site visits together following a structured process. The mobile research lab in Gothenburg involved meetings with coordinators and organisers of bicycle kitchens, the Circular Gothenburg Program, and GrowGothenburg as well as a walking tour of the development area called Södra Älvstranden and discussions with local politicians. There are further mobile research labs planned for 2019. October 2018 (NEWS HEADLINE): The City of Umeå is one of six finalists in the European Capital of Innovation. On 6 November 2018, the capital is announced. Umeå is constantly working with the development of an effective and inclusive support system for innovation with world class academic and business incubators. Sharing Cities Sweden is contributing to the innovation system in Umeå. October 2018 (PUBLIC EVENT): On 23 October 2018, Kes McCormick (program coordinator) presented Sharing Cities Sweden at the Nordic Smart Cities Conference in Malmö, Sweden. The event focused on smart and sustainable city development processes. The presentation highlighted the ambitions, purpose and emerging findings about the sharing economy in cities. November 2018 (INTERNAL EVENT): On 5 November 2018, Sharing Cities Sweden participated in the Viable Cities Program Conference in Stockholm, Sweden. Viable Cities is a Swedish strategic innovation program for smart and sustainable cities. The event focused on projects within Viable Cities. November 2018 (INTERACTIVE ACTIVITY): On the 9-11 November, an innovation bootcamp was organized in Umeå, which is an entrepreneurial workshop exploring what it means to design and operate a business. The event was an opportunity to exploring the sharing economy cities and resulted in the concept of SMS or Sharing Made Simple. November 2018 (PUBLIC EVENT): On 12-15 November 2018, Sharing Cities Sweden (including the national node and all the test-beds) attended both the Sharing Cities Summit and Smart Cities Expo World Congress in Barcelona, Spain. The summit brings together representatives from local government with a mix of people from academia and business. The congress is the leading event for smart cities with over 20,000 people in attendance. November 2018 (PUBLIC EVENT): On 15 November 2018, Sharing Cities Sweden organised two workshops in the annual conference called National Workshop for Sustainable Lifestyles coordinated by the Swedish Consumer Agency. The event was arranged in Karlstad, Sweden and it was specifically planned to let participants test new methods and tools for behavioral change in relation to sustainable lifestyles. November 2018 (PUBLIC EVENT): On 20 November 2018, Kes McCormick (program coordinator) presented Sharing Cities Sweden at the Sharing as a New Logic of Innovation Workshop in Helsingborg, Sweden. The event focused on how the sharing economy builds on a shift from ownership to a mutual sharing of resources between service-providers and service-users. The presentation highlighted the ambitions, purpose and emerging findings about the sharing economy in cities. November 2018 (PUBLIC EVENT): On 28 November 2018, Kes McCormick (program coordinator) presented Sharing Cities Sweden at the Transforming for Sustainability Conference in Copenhagen, Denmark. The keynote presentation focused on the topic of urban experimentation and the role of sharing cities in the sustainable development goals. November 2018 (PUBLIC EVENT): On 28 November 2018, Philip Näslund (Umeå test-bed coordinator) presented Sharing Cities Sweden and activities in Umeå on the sharing economy at the Smart Cities Conference in Stockholm, Sweden. The event attracted participants from across Sweden working with smart and sustainable cities. 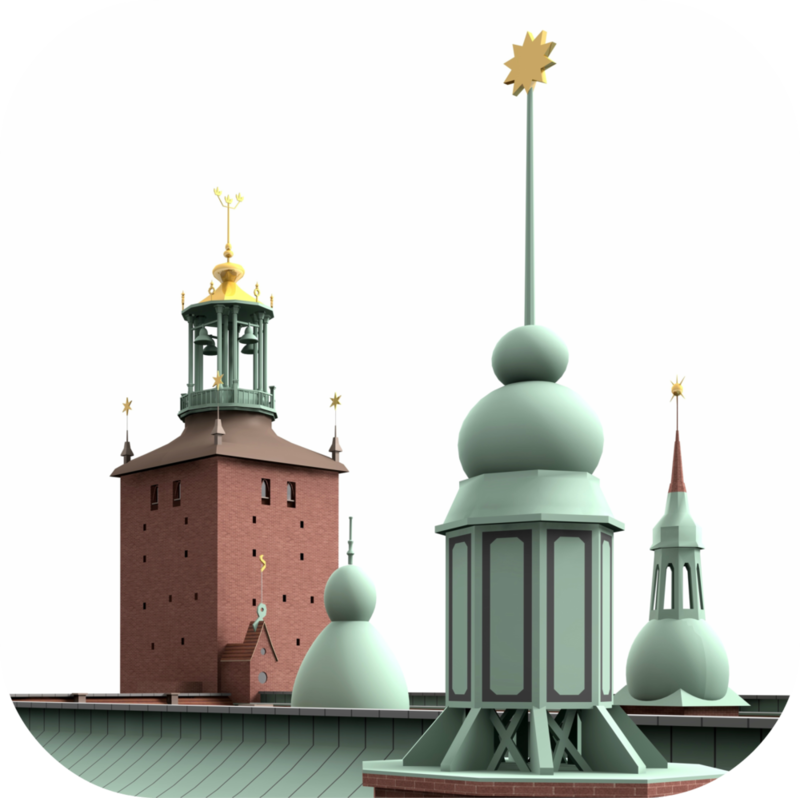 December 2018 (PUBLIC EVENT): On 29-30 November 2018, Jan Markendahl (ICT program manager for Sharing Cities Sweden) attended and presented at the CMI Conference in Copenhagen, Denmark. The paper presented at the event analysed sharing services and digital platforms in Sweden focusing on Stockholm, Gothenburg, Malmö and Umeå. The paper identified recurrent patterns but also similarities and differences between different types of sharing services. December 2018 (INTERNAL EVENT): On 4 December 2018, Sharing Cities Sweden participated in the Viable Cities Outlook Day in Stockholm, Sweden. Viable Cities is a Swedish strategic innovation program for smart and sustainable cities. The event focused on the strategic projects within Viable Cities including aims, expected impacts and synergies. The national node and test-beds all presented at the event and engaged in the interactive exercises. December 2018 (NEWS HEADLINE): In December 2018 in the online magazine for the Sharing Cities Alliance there is an interview article with Simo Sulkakoski from Lund University on the role of municipalities in developing and shaping the sharing economy. The article is based on research by Simo Sulkakoski for Sharing Cities Sweden into cities in Sweden focusing on Malmö and Göteborg. December 2018 (STUDY TRIP): Sharing City Stockholm organised a study tour in Hammarby Sjöstad on 5 December 2018. The purpose of the study tour was to learn about the sharing economy activities in Hammarby Sjöstad and the work and ambitions of EletriCITY as a key organization in the area. December 2018 (EVALUATIONS WORKSHOP): An evaluations workshop for Sharing Cities Sweden was organised in Stockholm on 5 December 2018. The purpose of the event was to share knowledge and experiences with evaluations of the sharing economy in cities and to identify synergies and opportunities between the test-beds in Sharing Cities Sweden and ongoing research projects. Key research projects on the sharing economy in cities were presented by Karin Bradley and Liv Fjellander and discussed in relation to the activities of the test-beds. The projects included MISTRA Sustainable Consumption and Sharify. January 2019 (KEY PUBLICATION): In January 2019, researchers in Stockholm published two articles on the sharing economy and cities. The first on assessing the environmental potential of sharing services, which indicates that there is significant potential for sharing services to reduce environmental impacts associated with production and consumption through avoiding production and reducing the production impacts of new product purchases. The second on connecting idle capacity with users focusing on business and digital platform aspects fort sharing services. The findings and research contributions are: a more clear definition of sharing services using the model with closed/open sets of both users and resources (providers); identification of key values of a sharing service platform (as compared to values of a product or a rental service); and a list of key features to implement in sharing service platforms. January 2019 (KEY PUBLICATION): In January 2019, researchers and practitioners in Sharing Cities Sweden published a joint article on sharing economy services in Sweden. The aim of the article is to identify recurrent patterns but also similarities and differences between different types of sharing services, including car pools, bike pools, sharing of tools and equipment, sharing of land for urban farming, sharing of parking and homes, and co-working spaces. January 2019 (INTERACTIVE ACTIVITY): Collaboration between the Göteborg test-bed and Malmö test-bed on Smarta Kartan is underway. Smarta Kartan in Göteborg aims to promote access rather than ownership to people and visitors to the city. It highlights current and up-coming activities and networks throughout the city on the sharing economy. 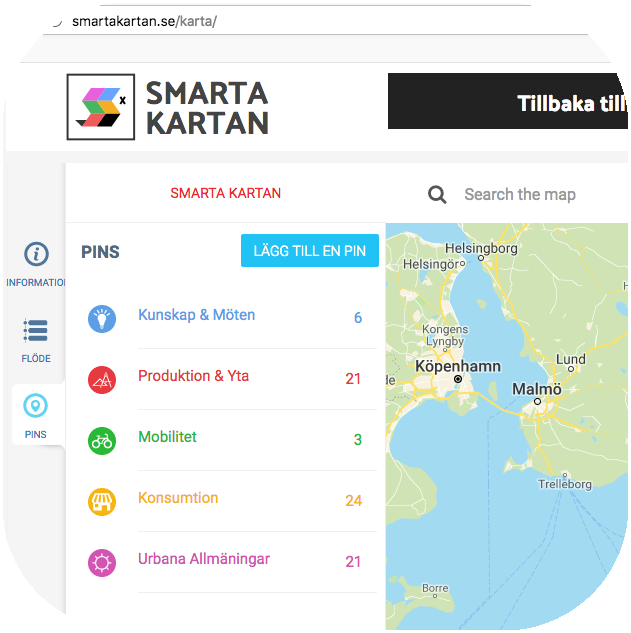 The City of Malmö is launching a Smarta Kartan for Malmö, and the process begins on 28 January 2018 to map sharing economy initiatives in the city. February 2019 (KEY PUBLICATION): A new report on governing the sharing economy in cities has been published by Sharing Cities Sweden in January 2019. The report investigates both Malmö and Gothenburg, and presents a framework for understanding the role of municipalities in governing sharing cities. The report has been based on extensive case study research and interviews. February 2019 (NEWS HEADLINE): Sege Park in Malmö has been nominated to the Plan Award 2018. The prize is awarded in March 2019. Sege Park is a development area that is a platform for urban innovation and a meeting point for creating sustainable cities and the developing the sharing economy. 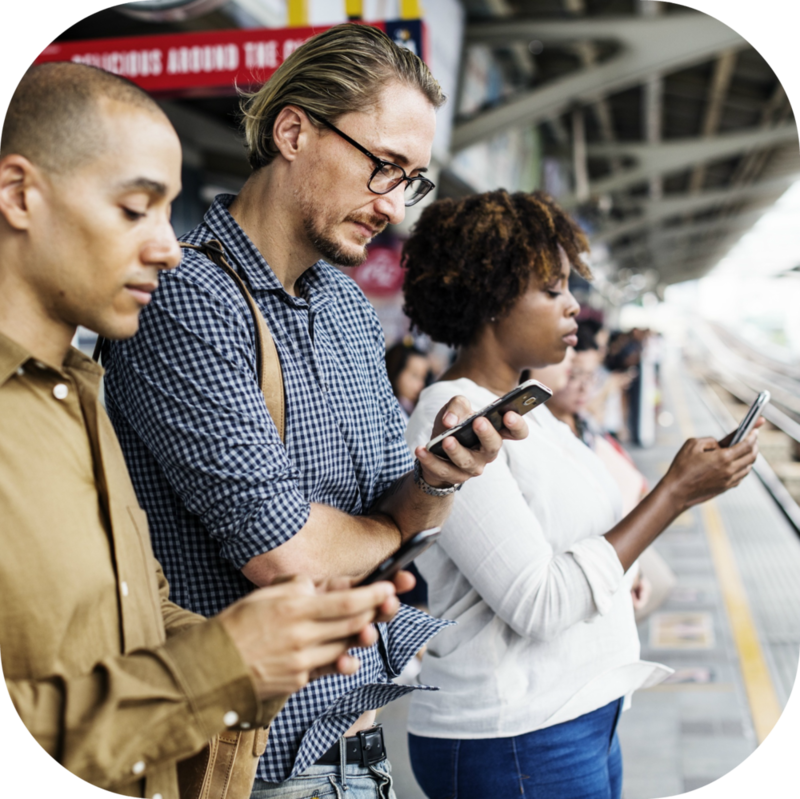 February 2019 (NEWS HEADLINE): In February 2019, a report that compiles examples and knowledge on service and mobility hubs has been published. The report provides a valuable basis for discussion, learning and improved understanding of the possibilities and challenges for designing and developing service and mobility hubs in Sweden. A national working group has been established to further collaborations on the topic. March 2019 (PUBLIC EVENT): On 7-8 March 2019, a conference on the theme "the city as a jointly owned sharing platform" was organized in Umeå. The purpose was to "explore cooperative digital platforms with a focus on sustainability in all dimensions". Among the speakers at the Cooperative Cities Conference were representatives of Swedish cities and organisations as well as various types of cooperative platforms. Through the conference a new meeting place was created to share knowledge of digital infrastructure that is crucial for promoting sustainable lifestyles. 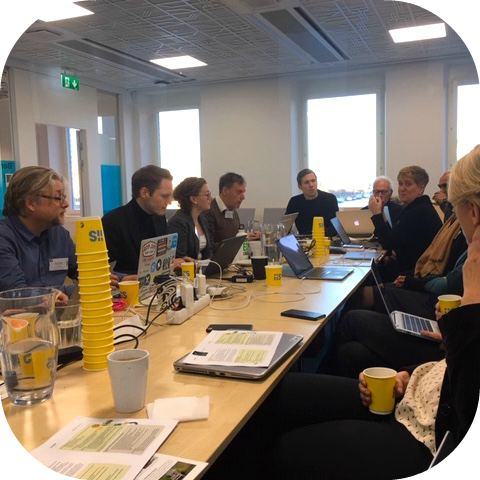 March 2019 (EVALUATIONS WORKSHOP): An evaluations workshop for Sharing Cities Sweden was organised in Umeå on 7 March 2019. The purpose of the event was to identify synergies and opportunities between the test-beds in Sharing Cities Sweden and strategic projects on sharing business models, sharing behaviour, sharing digital platforms, sharing towns and sharing communities. 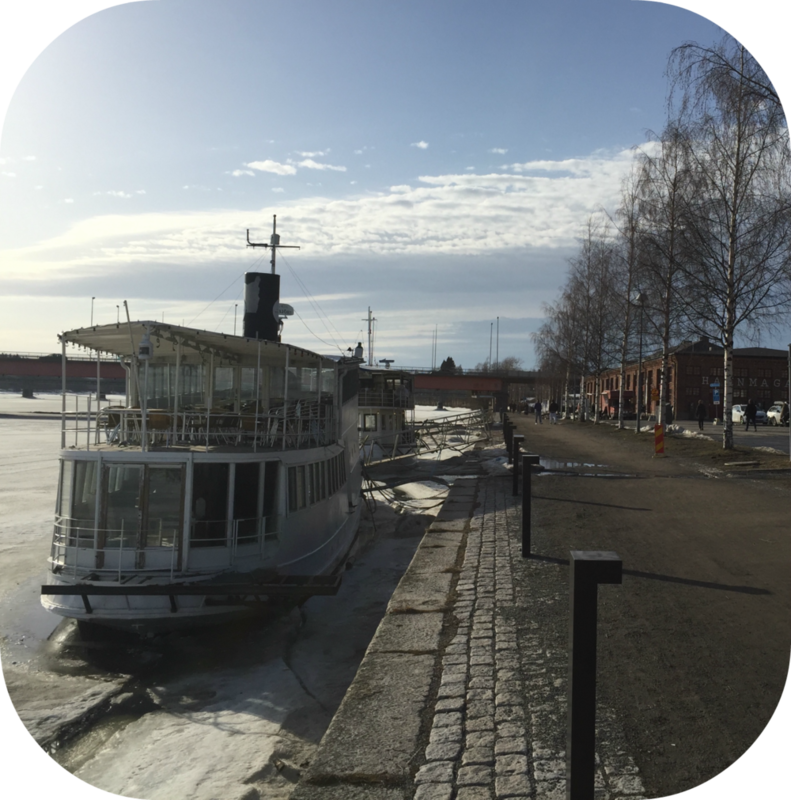 March 2019 (STUDY TRIP): Sharing City Gothenburg organised a study tour in Umeå on 6 March 2019. The purpose of the study tour was to learn about the sharing economy activities in Umeå with a visit to FabLab Umeå – an open workshop with a range of digital manufacturing and prototyping tools. March 2019 (NEWS HEADLINE): The program coordinator for Sharing Cities Sweden, Kes McCormick, was interviewed for the Nordic Report. He talked about the place and role of the Nordic countries in greening the economy and the advancing sharing economy. The interview was published in March 2019. March 2019 (PUBLIC EVENT): The sharing economy is here to stay and more and more people are discovering the benefits of renting, sharing, exchanging, borrowing and giving. In connection with the release of an updated version of Smarta Kartan, all residents of Gothenburg are invited to a launch event on 4 April 2019 in order to test the new Smarta Kartan 2.0 together. April 2019 (KEY PUBLICATION): In April 2019, Sharing Cities Sweden published a synthesis report entitled Sharing Cities: Exploring the Emerging Landscape of the Sharing Economy in Cities. It captures the lessons learned and ambitious goals of the test-beds in Stockholm, Malmö, Umeå and Göteborg. The document contains articles on the journeys of the test-beds, a discussion of designing test-beds as urban living labs, insights into governing sharing cities, and an overview of strategic thinking on sharing cities. April 2019 (PUBLIC EVENT): On 8 april 2019, Sharing Cities Sweden organized a seminar as part of Sustainability Week at Lund University on the sharing economy in cities focusing on learning about business models and behavioural economics. Over 80 people attended the event from academia, municipalities and business. April 2019 (EVALUATIONS WORKSHOP): An evaluations workshop for Sharing Cities Sweden was organised in Lund on 8 April 2019. The purpose of the event was to explore business models and the sharing economy in cities. Current and possible future business models were mapped through the ecology of business models framework. Synergies between test-beds and data availability were discussed. April 2019 (STUDY TOUR): Sharing City Malmö organised a study tour in Sege Park on 9 April 2019. 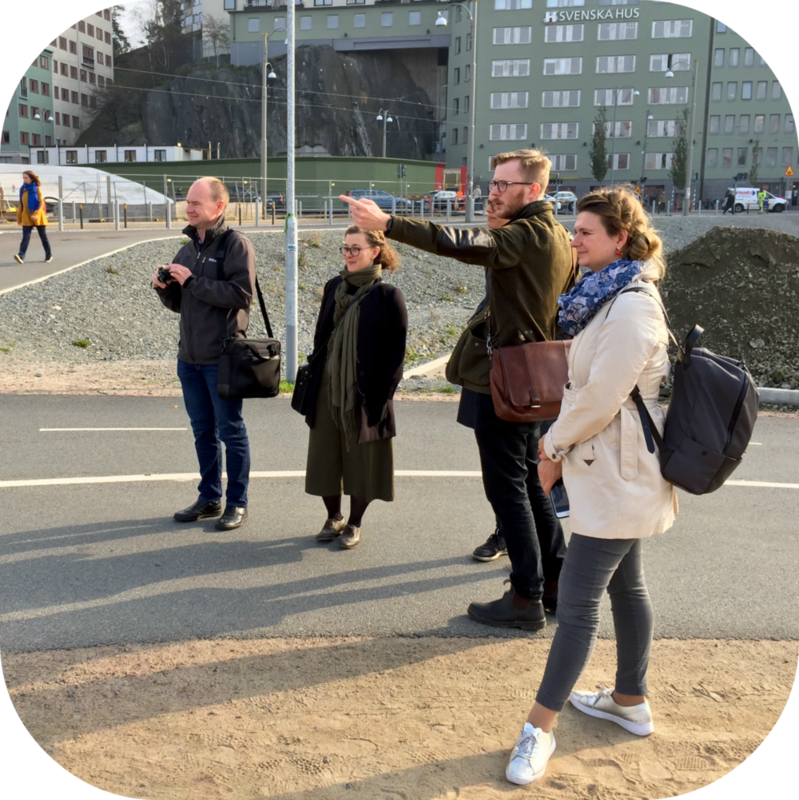 The purpose of the study tour was to see how the principles of the sharing economy are being integrated into the design and development of buildings and infrastructure in Sege Park. The visit was focused on building 14 as a sharing hub for Sege Park. April 2019 (PUBLIC EVENT): On 9 April 2019, Charlie Gullström (Stockholm test-bed coordinator) presented Sharing Cities Sweden at a conference on smart and sustainable cities for increased French-Swedish collaboration. The theme of smart cities was selected as a key pillar of the French-Swedish Partnership for Innovation and Green Solutions. The activities and ambitions of test-beds in Sharing Cities Sweden was presented. April 2019 (HEADLINE NEWS): Cykelstället in Umeå has been nominated to an award as “Samhällsbyggare”. The prize is awarded in May 2019. Cykelstället is a place where there is a bicycle garage, bicycle parking under cover and a service station to wash bikes and carry out simple repairs. As well as a play area for children.